Well, HELLO my newest, favorite drinky-poo! Have you tried UV Vodka's newest flavor, cake? It's so yummy. They suggest you mix it with cola or pineapple juice, but I seem to like it simply over ice as a nice little treat after dinner or as night cap. 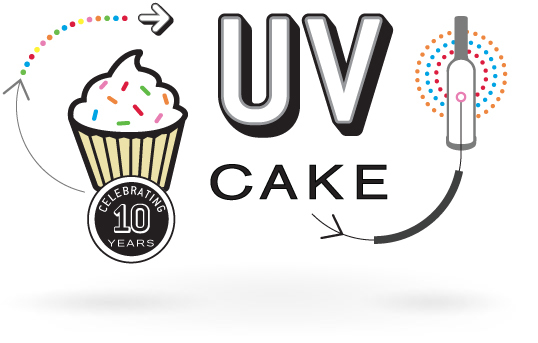 UV came out with Cake in celebration of their 10th anniversary and is a great addition to their family of of other flavored vodka! My husband actually brought me home a bottle because he thought I might like it. He knows me too well! Is it too early to pour a drink? That is wild!! Cake flavored vodka? What will they think of next? I bet it was good! !